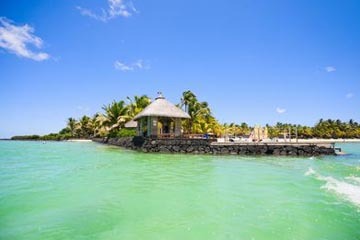 The climate, when compared to Mauritius, is much more dry and hot. It rarely rains in Rodrigues, the quite lengthy drought periods cause serious problems in supplying the whole population with water. As the island is found in the southern hemisphere, the seasons are reversed. The days are hot and humid in summer, which lasts from November to April and the temperature oscillates between 28 and 35°C. During this period, the risks of cyclones increase significantly, particularly in January and February. In "winter", from June to September, the temperature varies from 16 to 27°C. The prevailing wind of the South East is much more biting in winter. The sea is warm in summer (25°C to 28°C) and cools down in winter (22°C to 24°C). As usual, in the tropical regions, the sun sets relatively early: between 18h and 19h, depending on the season. The particular charm of the island comes mainly from the calm and harmonious lifestyle of its inhabitants. Discretion, kindness and simplicity are the principal traits of the Rodriguans. They live to the rhythm of the passing time, calmly and serenely even though life is rough and the future uncertain. 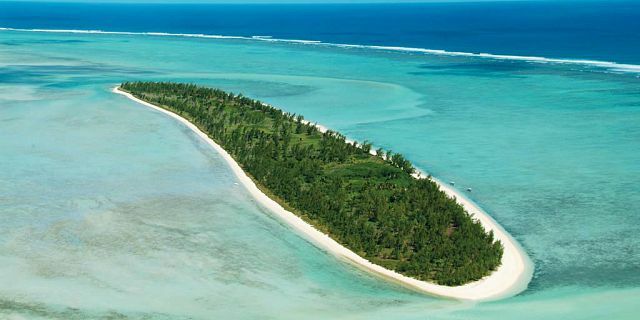 The population of Rodrigues is estimated to 38&Mac226;000 inhabitants, the vast majority being Creols. Inhabitants with jet-black skin, descendants of Malagasy and African slaves and a minority of half-castes, descendants of the first European settlers, form the greater part of the population in Rodrigues. The Catholic religion is the most practiced one in the island, but there are also a small number of Hindus, Muslims and Buddhists. The influence of the Catholic religion in the daily and cultural life of the population must be emphasized. Religion, respect of traditions and family are the pillars of the Rodriguan lifestyle. - Caverne Patate, with a length of 1057 metres (accessible area: about 600 metres), it goes down 26 metres under the earth. It is decorated with stalagmites and stalactites as well as other original shapes cut in the coral rock. - Rivière Banane, small agricultural village lost in a valley. There, you can see numerous plantations and two large wild beaches separated by a peak formed in basaltic rock. 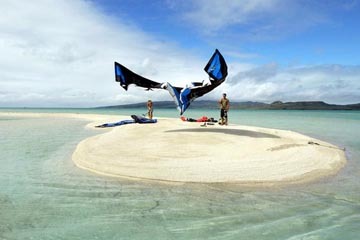 - Ile aux Cocos, a long strip of white sand covered with casuarina trees, is a nature reserve. It provides shelter to many sea birds. - Hermitage Island, with its jagged and rocky relief as well as its tiny heavenly beach, is a sheer invitation to play at Robinson Crusoe. 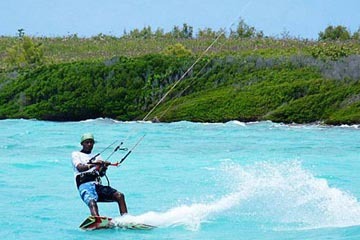 - Catherine Island, rocky and wild, offers a magnificent view on the western coast from its peak. It acts as a shelter for the fishermen who come to the island at times to rest. - Plaine Mapou proposes a rustic landscape, decorated with a bay reflecting magnificent shades (Topaze Bay). Completely isolated, the feeling of being at the end of the world is strongly emphasized there. - There's the whole coastline to explore on foot! Numerous paths that enable a complete tour cross the island. In particular, the uneven coast from Pointe Coton toGravier, which reveals deserted beaches and creeks of an indescribable beauty: Saint-François, Anse Bouteille, Anse Philibert, Trou d'Argent.